I checked the CME configuration for dialpeers etc which looks fine and the Caller getting that message actually means they can get to CUE but then CUE doesn’t recognize that Subscriber or there is no mailbox for that Subscriber. 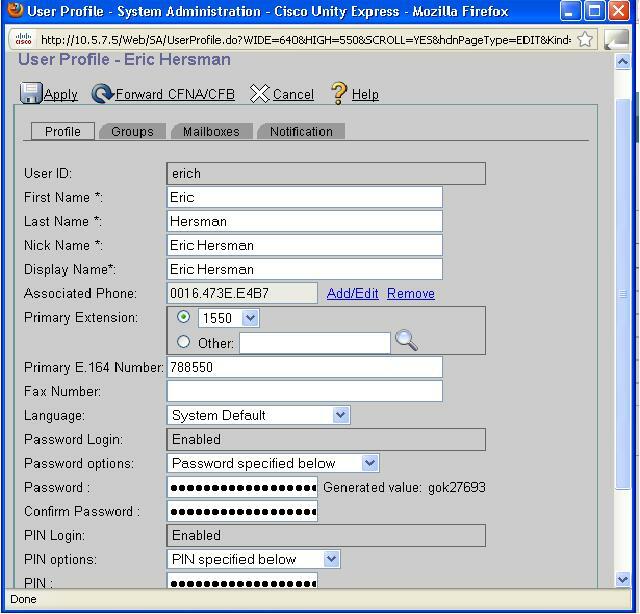 I checked the configuration for few users at CUE and found all users with proper Voicemail box and everything configured. From the debugs I found out that the call is coming in to the extension ‘788552’ and then goes to the Voicemail with the same extension. So the call was reaching CUE with 788552 but what I found under user settings at CUE that the Primary E.164 number was configured as full DDI instead of ‘788552’. I changed that to the 6-digit number and all started working fine.